For some reason unbeknownst to me, most of the light-shaded lipsticks I've tried have a texture problem. They may have beautiful colors but once applied on the lips, they tend to clump and have this uneven effect. That being said, I'd like to introduce to you my new favorite, light-shaded lipstick. 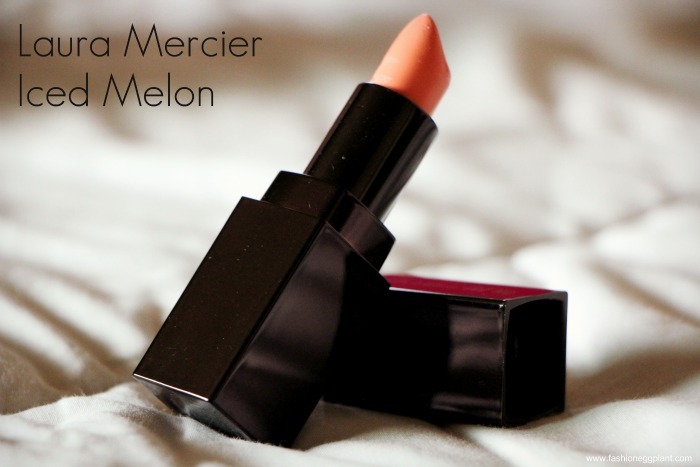 Meet Laura Mercier's Creme Smooth Lip Colour in Iced Melon. Laura Mercier's Iced Melon has a wonderful texture that makes it a cinch to apply without the help of gloss. It glides on smoothly and leaves an even finish. But what I love most about it is its ability to transform my entire look from just made-up to sun-kissed, natural and beachy. It's one of the most flattering shades I've tried and for me, it's one of those rare lipsticks that make you go into a panic if (hopefully not) the brand decides to pull a plug on production. It really brings out the color in my eyes and compliments my complexion perfectly. To sum it up...LM's Iced Melon is a great everyday "day-time" lipstick. The muted shade is perfect for effortlessly chic, free-spirited, low-key looks and its so neutral that it goes with almost everything.